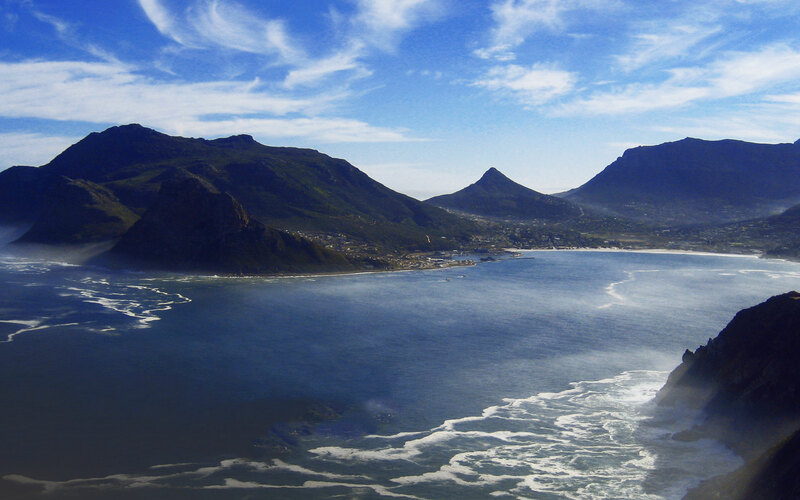 The Cape is known for its magnificent mountains, amazing scenery, gorgeous blue oceans, rich history, and, of course, its first-class wines and delicious food. We’ve compiled a list of four top restaurants in the Cape that combine delectable food and award-winning wine. Should you be lucky enough to be visiting the Cape soon – make sure you pop by at least one of these amazing eateries – you certainly won’t regret it! If you’re planning a trip to the Cape, it is essential to visit the Cape Winelands. Franschhoek is our absolute favourite wine district. Its spectacular beauty and its quaint atmosphere make Franschhoek a place to remember. We recommend visiting the Franschhoek kitchen at the Holden Manz winery. It has been rated as one of the leading restaurants in Franschhoek and it is regarded as one of South Africa’s culinary hotspots. This little restaurant enjoys views overlooking beautifully green vineyards and remarkable mountains. The restaurant is the perfect place to relax and enjoy bistro-style food made from delicious, locally sourced ingredients. Because they are a sustainability farm, they emphasise seasonal ingredients which means that their menu changes regularly to suit the seasons. Franschhoek Kitchen also provides beautifully presented picnic baskets filled with absolutely delicious and fresh treats, so that you can enjoy a long summer afternoon resting by the picturesque Franschhoek River. And, what would a visit to a vineyard be without indulging in a bit of wine tasting? At Holden Manz, you will have a chance to try their beautifully fragrant Rosé, their barrel-fermented Chardonnay, and their decadent port-style wines. Nestled between the border of Franschhoek and Stellenbosch, you will find the 320-year-old Solms-Delta estate. At this amazing wine estate, you will discover the Fyndraai Restaurant—a restaurant that offers traditional Cape cuisine with a contemporary twist. The dishes aim to promote the assorted culinary heritage of the Cape, and you will therefore find that the dishes showcase European, Asian, and African flavours. The dishes present strong ‘Cape Malay’ influences and blend them with ingredients that were traditionally favoured by the Khoi nomads who used to roam Franschhoek thousands of years ago. Many of the rare and indigenous herbs are actually grown on the farm. You can opt for the tasty, four-course heritage menu, or you can choose to have a wine pairing menu that lets guests sample six glasses of the estate’s wines and six tasty tapas. The estate also allows guests to picnic on its grounds, and the Fyndraai Restaurant creates delicious picnic hampers for its guests. If classic elegance is what you’re after, we suggest visiting the Greenhouse. The cuisine is created by the famous Peter Tempelhoff who emphasises the importance of complementary tastes and aromas. The dishes are imaginative and the chefs look to the sea and the garden for their inspiration. For these chefs, ingredients must have meaning and purpose, and they aim to showcase the beauty of South Africa through their cooking. The menu also features some of the best wines from Constantia, and the restaurant pairs its wines beautifully. In 2015, the restaurant won the Boschendal Style Award. La Colombe is certainly worth a visit if you want to treat yourself to the ultimate fine dining experience. This spectacular restaurant earned its place among the top 100 restaurants in the world in 2016. The restaurant is situated at the Silvermist wine estate on top of Constantia Nek and it has magnificent views of Constantia Valley and Hout Bay. The chefs use ingredients that are sourced from the restaurant’s own organic gardens and therefore, the menu is also a seasonal one. Each dish is perfectly and beautifully presented, and the vibrant colours and flavours of the dishes combine together to create a unique cuisine adventure. The menu pays tribute to deliciously fresh seafood which is an absolute treat when you’re dining in the Cape.